This linocut is called On Sumptuary Law and is made up of 3 linocuts and 3 etched linos, with both the images of the women and the fabric detail. Most of my linocuts are from paintings from the 1530s and I am intrigued by the depiction of women at the time of the English Reformation. 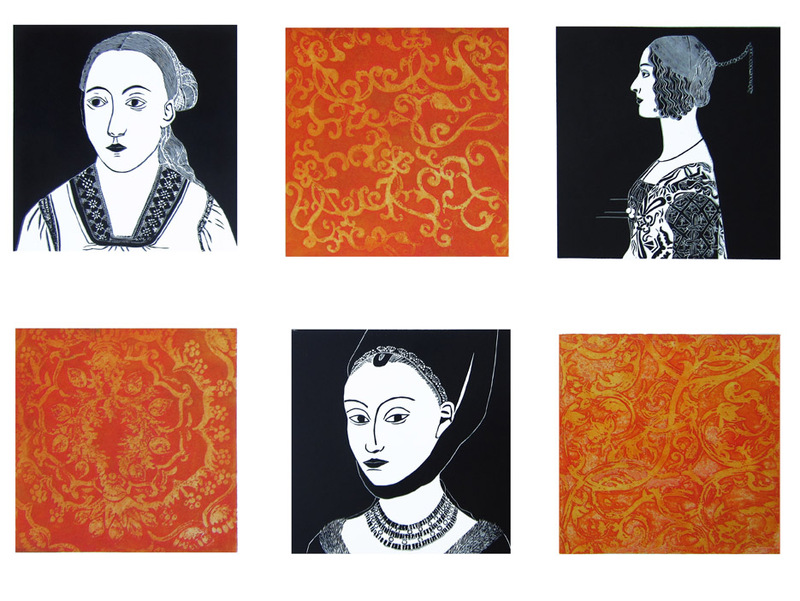 I have just finished a linocut of Katherine Parr and am now doing Anne Boleyn. Who called herself 'The Moost Happi' She had no idea how it would end.